Another project I had for myself while Rosemary and the little ends were away was to get the garage reorganized, so we could fit both our cars in at the same time. We moved into the house over a year ago, and our garage was our main staging area, so for over 12 months one of our cars has always been parked outside - in the rain, snow and sin, which are all taking their toll on our aging Acura. 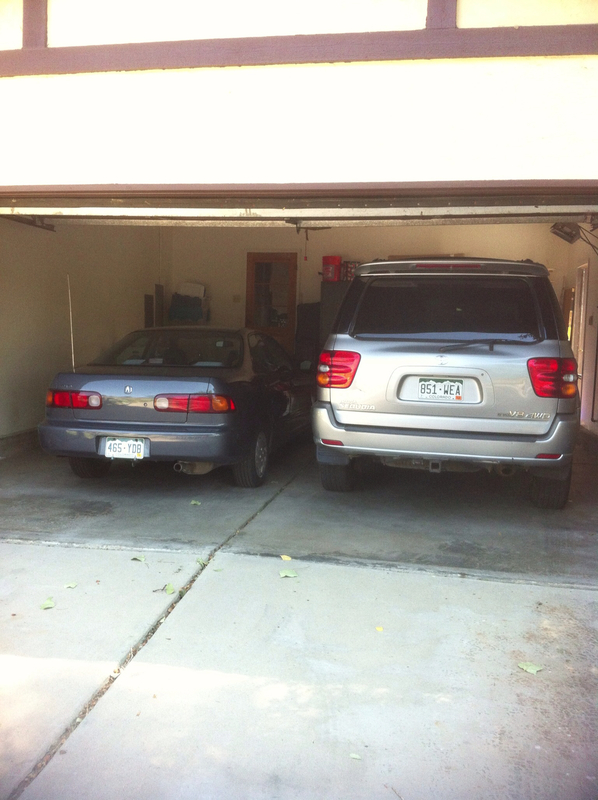 Balázs and I worked hard for a few hours and successfully moved things around enough to make room for both cars. As we were taking some things to our shed in the backyard, I almost stepped on a ball of fur - which I soon realized was alive. At first I thought it was a mole, but as I looked closer I realized it was a baby raccoon, sleeping in the middle of the yard. We figured out that he was probably only a few days old, since his eyes were not yet open and he was just learning to walk. However cute he was, it was a bit concerning that he was out in the open like this, unprotected. I called animal control, and they said to wait overnight, to see if the mom came back for it. 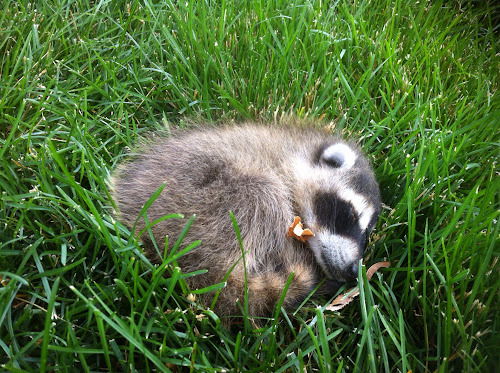 When morning came, the little guy was still sleeping in the same place in the yard, so I had animal control come out and get him. They said the mother either abandoned him or died, and that's why he was alone. He was certainly cute, but I'm not interested in seeing any grown raccoons around, although according to animal control, there are a ton in our area.